Over the last couple of days we have seen many users complaining of an iOS 6.1 Microsoft Exchange bug, among a number of other bugs. Apple has currently released iOS 6.1.1 for iPhone 4S and it does fix some of those issues. However the Microsoft Exchange bug is proving to be a headache, both for users as well as Apple. 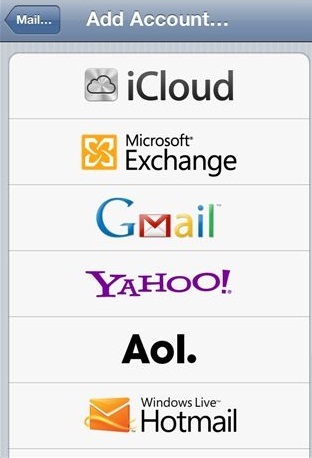 The company has updated a support page and assures that a fix for iOS 6.1 Microsoft Exchange bug is coming soon. The iOS 6.1.1 firmware update for iPhone 4S which was released recently fixes network related issues. The update has not been released for any other iOS device at the moment, though iOS 6.1.1 beta 1 was seeded earlier this week to developers. It is not confirmed as of now when Apple will release this update for all of its devices, but when it does come these issues will definitely be taken care of. This iOS 6.1 Microsoft Exchange bug causes devices to get stuck in a loop when syncing a recurring calendar meeting invitation. This in turn drains the battery life and affects performance. This bug is also slowing down Microsoft Exchange servers due to the loop it gets the device stuck in. All of this is having an adverse effect on enterprise iOS users. Apple assures that they have identified a fix for this bug and that it will released in an upcoming software update. Apple has identified a fix and will make it available in an upcoming software update. In the meantime, you can avoid this bug by not responding to an exception to a recurring event on your iOS device. At this point in time no clear cut fix for the iOS 6.1 Microsoft Exchange bug is available. Apple suggests that users turn Calendar in their Exchange accounts off and turn them on again after 10 seconds. Microsoft suggests that users try deleting and adding their Exchange accounts again, if merely restarting the device does not work. It also says to avoid using Calendar altogether if the issue still persists.